There is 8.33% of basic salary is added to the employee pension scheme every month by your employer. Do you have a track of the money which is accumulated? 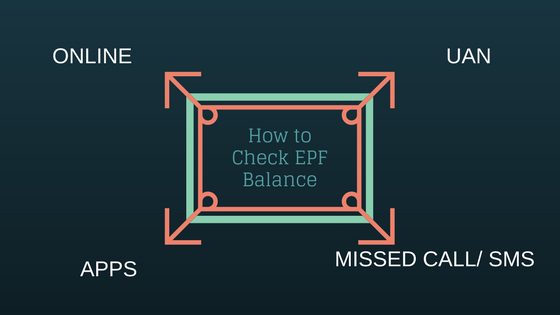 You know how to check your EPF balance and track the accumulated corpus. The money in the EPS does not fetch any interest. So, what is the use of this money? How can you be benefited by money in EPS? People forget about the EPS when they are busy with withdrawing EPF. In this article, we will discuss of EPS and how you can withdraw the EPS amount. Employee Pension Scheme (EPS) is the pension scheme which covers all the EPFO members to get pension during the retired life. Pensioner receives the pension for life long and after the death spouse and the children below 25 years, age will get the pension. An employee contributes 12% of basic salary towards EPF. Employer contributes 8.33% of the basic salary for Employee Pension Scheme (EPS). The maximum EPS is Rs 1250 considering a basic salary of Rs 15000. So, the EPS is fixed even if you have basic salary of more than Rs 15000. Before August 2014, the EPS contribution was Rs 541 maximum. All EPFO members are automatically a member of EPS. An employee is eligible for pension after 10 years (Minimum) of service and at the age of 58 or 50 years. Pension cannot be paid before 50 years of age. One cannot receive more than one pension from EPS. EPS amount does not fetch any interest. The service period of more than 6 months is rounded off to the next year and below 6 months is rounded off to the previous year. If you have service period of 8 years 7 months the service period is to be considered as 9 years. Do you want to transfer your PF with past employer to the new employer? You can now transfer PF online with UAN sitting at home. How will you check your EPS balance? You can contact the Human Resource Department of your employer and ask them about the balance. Also you can check your payroll portal if your employer has the option. You will get EPS number in salary slip or PF slip where the statement of EPS contributions is accounted. 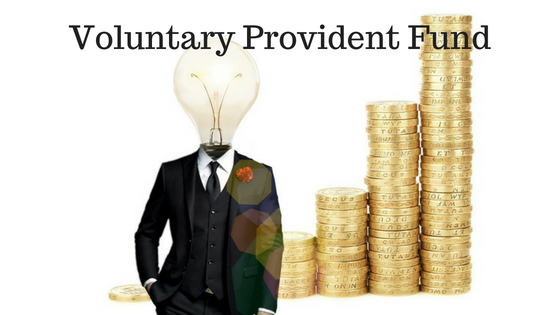 You can contact the Regional Provident fund office to check the balance. The cumulative balance is not so important if your service period is more than 10 years. The calculation of pensionable salary is of two types. If you became a member of EPFO after 16th November. 1995, then the pension amount is = (pensionable salary x service period)/70. Here the pensionable salary is considered as average salary (Basic Pay+DA)of past sixty moths. The maximum pensionable salary of a month cannot be exceeded Rs 6500. Those who joined EPFO before 16th November 1995, the calculation of EPS amount is as per the followings. Calculate the service period up to 15th November 1995. Remember the round off rule while calculating the service period. Find out the salary as on 15th November 1995 as it is Up to Rs 2500 or more than Rs 2500. The employees, who retire after 15th November 1995 get the additional pension for the past period. The above pension amount is increasing 8% each year. This can be factored with the help of Table B. Suppose, Mr. X had joined a company on 04.06.1986 and he retired on 23.08.16. His basic salary as on 15.11.1995 was Rs 2500 and above. Suppose you have changed your job and EPF account also. You already know how you can transfer your EPF from one employer to another employer. You don’t have to think of the transferring of EPS amount. It will be automatically linked to the new PF account when you are transferring EPF account via UAN. The UAN restricts the duplication of EPF account number. Withdrawal from EPS is same as the withdrawal of EPF. If your total service period is less than 9.5 years you are not eligible for the pension. You can apply for withdrawal. If you cross the service period of 10 years you cannot withdraw the amount. Then you have to opt for the pension and get a scheme certificate after you attain the age of 50 years. The service in other companies can also be added to the total service period and when you cross 50 years age you can claim pension with all the scheme certificates. You need to activate your UAN number with the EPFO portal. Your AADHAAR number should also to be linked with EPFO for claiming online. The mobile number on AADHAAR database is a must for the online claim. Log in to UAN portal with the UAN number. Update the AADHAAR details if you have not updated yet. Select the relevant claim and click on it. Verify the OTP received on your mobile. You can also track the status of your claim inside the login. The above process is valid if you have UAN and AADHAAR number with the updated mobile number. Otherwise, you can take the offline route of claiming EPS. EPS is a very good scheme for all EPFO members. But it is very difficult to understand for the common members who are not finance savvy and also there is no awareness among the members. More simplification is expected from the Government of India. Also, everything related to EPS should be integrated with EPF online. Though pension from EPS is very small but it is good for the persons who are in financial trouble and does not have sufficient fund for their retired life. On 06.apr.2018 i have applied for epfo withdrawl with eps on same date. As i have got the amount of pf credited to my account on 19.04.2018 but my pension amount still not credited, when i checked it through UAN id the status shown claim settled. Please let me know is PF amount and EPS amount credit different-2 dates. I am serve 8 years in my previous company. Please guide me in this sir.